Red, White and Blue Potato Salad! Ready in just 15 minutes! Vegan and Gluten-Free. 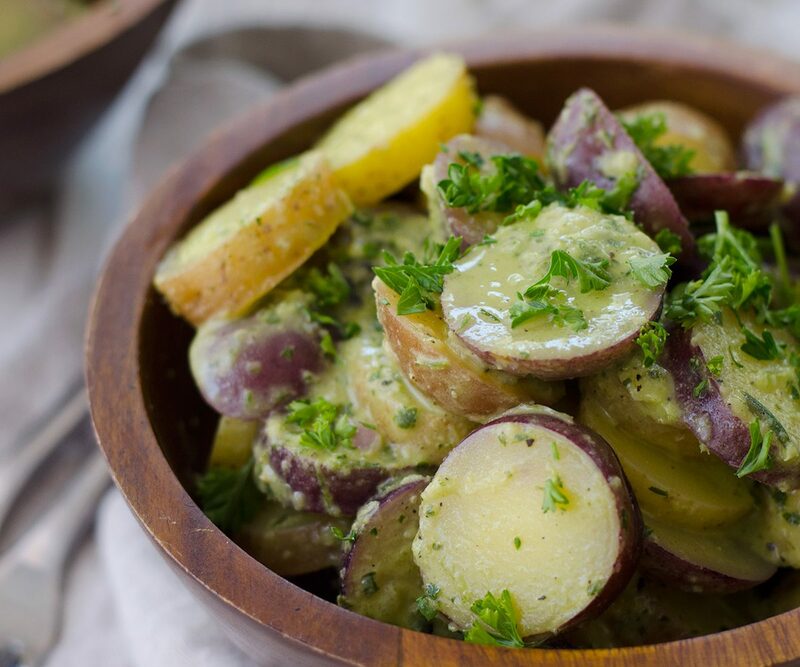 Little creamer potatoes tossed in a tangy herb dressing. Perfect for summer BBQs, Picnics and Cookouts! 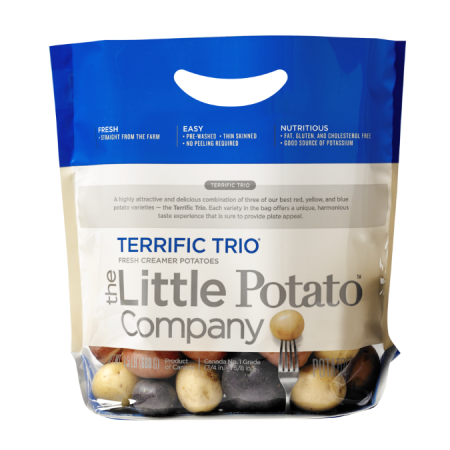 Wash potatoes and slice into 1/4-inch thick slices. In a large saucepan combine potatoes and one tablespoon salt. Cover with water by at least one inch, then bring to a boil over medium-high heat. Reduce heat to low and cook until potatoes are done and easily pierced with a fork, about five minutes. Reserve 1/4 cup cooking water, then drain. Transfer potatoes to a large mixing bowl. In a small food processor or blender, combine the olive oil, 1/3 cup parsley, shallots, vinegar, Dijon mustard, and pepper. Process until combined, but still a little chunky. Add in the reserved cooking water and pulse together a few more times until just together. Toss potatoes with dressing and mix well. Let potatoes rest for 5 to 10 minutes, stirring occasionally. The potatoes will gradually soak up more dressing the longer they sit. Season to taste as needed with salt and pepper and serve, or refrigerate until ready to serve. Tastes best either warm or at room temperature.